I remember writing in our student mag Chaff (Massey Uni was a former School of Agriculture, so the place was suitably pastoral for Strawbs fans!) when reviewing both Witchwood and Grave New World, that I'd heard better music and better lyrics but seldom a better combination of the two. I think that still holds true and Witchwood remains my favourite album equal with Grave New World and Bursting At The Seams. Certainly Witchwood is the most listenable Strawbs album with its lovely melodies, lush harmonies and superb production (how could that jerk on the BBC have laughed at Visconti's marvellous clear sound? Personally I've never heard acoustic instruments or voice recorded better). Congratulations for this sparkling CD go to Dave and Roger Wake - it seems that this sound is even better than on the Halcyon Days CD. Indeed this holds true for each reissue and congratulations all round for the superb packaging. On the whole the album has stood the cruel test of time pretty well. Perhaps one or two lyrics are a little overblown and a tad too romantic for the cynical 90s, but most lyrics stand up and the eclecticism of the instrumentation (Banjo with organ and dulcimer with clarinet) is a joy. The title track remains a true classic which evokes the enchantment of place and antiquity, a special quality for those of us who live in relatively new lands. "Glimpse of Heaven" is a great anthem (which I had played at my wedding and certainly want played at my funeral along with the live version of "Grace Darling") even if references to lambs that 'sweetly play' is a touch mawkish for someone living in a land with 45 million sheep [Tom's from Dunedin, New Zealand - DG] whose low grazing habits have caused a far bit of environmental damage. "Hangman" and "Sheep" toughen things up a little (although I prefer the rip roaring live version of sheep) and "Canon Dale" is a Hudson Ford classic. "Thirty Days" and "Flight" are very Beatleish but still make for great listening. "The Shepherd's Song" is an amazingly exotic piece which few modern bands would ever dare to attempt. It is topped off by Rick's excellent moog-lines. "In Amongst the Roses" is still wonderful for its delicate, even fragile quality, while "I'll Carry on Beside You" and bonus track "Keep the Devil Outside" bring proceedings to a mellow and optimistic conclusion. Overall this album is getting lots of time on the disk player but it is fun to compare it with some of the other reissues. Antiques and Curios scores better in its slight edgy quality and raw energy, while Grave New World has a little more power (Hero and Heroine and Ghosts deserve separate treatment as they are much more mainstream rock). I might be a heretic but I believe Grave New World's slight edge comes, in part, from Blue's playing which complements Dave's music better than Rick's more strictly classical approach. "Tomorrow" also has to be one of the band's best ever rock songs but I believe that "Ways and Means" (from Dave's solo album) should have been included instead of "Here It Comes" which is already on disk and fails because it is neither folk nor rock. Grave New World also makes me wish that Dave played a bit more electric guitar as he is very good and underrates himself on the instrument. I also have to confess that I now have developed much greater respect for John and Hud. Way back in 1973 I went against them as sell outs, but they're both great musos and I look forward to John's solo effort. Now we need one from the amazingly versatile Hud whose sitar, percussion and great harmonies lift the whole sound of the band. My other regret is that some more of the unused material, including a selection of Rick's early efforts weren't included. Similarly why not put the whole of Antiques and Curios onto disk, especially as I still want to hear "Your Choice". (hints here for the Box set)? At the end of this reassessment I'm left puzzling why this unique and talented band didn't have greater commercial success. Cousins' rough, searing voice might be part of the answer but look at how many albums Dylan, Cat Stevens and Jethro Tull have sold? Perhaps it was too many breakups but this also made for variety and difference between albums. Bad management may have played a part (going to back to America instead of winning new fans in Australia and New Zealand was a grave mistake). I also feel that if Willoughby had been added much earlier the band would have been unstoppable with twin leads and Dave Lambert freed to develop his great voice a little more. Unlike the more egotistical Ian Anderson and many others Cousins always had the sense to soften up his rough edges with better singers. Maybe he should also have used more female vocalists as The Bridge is great. But probably the slide from financial success tells us more about the fickle nature of pop music than anything else. Also the nice homely quality of real people making honest music would have been lost if they had become a true supergroup. In the final analysis that's probably the key- Dave's songs are too honest and his emotional input too great for the superficialities of pop and videos. Whatever I'm delighted with this excellent reissue and trust many other people will enjoy the melodious and often magical Witchwood for a long time to come. It may have taken several years, but Strawbs have been given the "remastered/CD/bonus cuts" repackaging. And if any band has deserved to be heard on CD, it is The Strawbs. And as far as reissues go, A & M has done a pretty good job in presenting most of The Strawbs catalogue. From the Witchwood is no exception. The sound is fantastic, and is actually an improvement over the old vinyl pressing. The packaging is quite nice, and John Tobler is to be congratulated for his well written, and well researched notes. It would have been nice for the lyrics to have been included, and for the writers of the songs to be more clearly identified, but these are very small criticisms. From the Witchwood is The Strawbs fourth release for A & M, and the second album with their new expanded line-up. Rick Wakeman, featured throughout the album, left the band shortly after it was released, and went on to fame and fortune with Yes and as a solo artist. It is interesting to listen to his keyboard work on this album, and recognize that this release is almost a blueprint for what he would play over the next few years. Tony Visconti, who had produced the previous Strawbs album, Just A Collection Of Antiques & Curios-Live At The Queen Elizabeth Hall, returned in the producer role, and helped mold this album together. So, what about the album? It is a great album, not the best Strawbs album, but a very solid and strong album. The album kicks off with a wonderful Dave Cousins song, "A Glimpse Of Heaven." Beautiful melody, and nicely produced. It also features some very nice vocals from Dave, and fine banjo playing. The banjo itself speaks to the original sound of the band, and their struggle to create new sounds. This song is an excellent example of "folk-rock" being merged with other sounds. The Kinks made similar attempts, but not do it as successfully as The Strawbs. It is this mixture of sounds that keep the listener interested throughout the album. And one could not ask for a better opening cut. It also sets a high standard for the rest of the album, that at times the band is unable to meet. "Witchwood" moves the album forward, and is also a wonderful song. On this release Cousins certainly provided some very nice vocals, which he, in the CD's notes, credits to Visconti as a producer. John Ford's "Thirty Days" is next, and it is a very strong, moving song. It is interesting to note that only Ford, Richard Hudson and Tony Hooper play on this track, but they produce a very solid sound. Also worth note is Hudson's tasteful sitar playing. Subtle, but it adds quite a bit to the overall sound. Ford also contributes the next song, "Flight" which is the first lull in the album, saved only by some nice guitar work from Cousins. Perhaps the most well known song from the album is next. "The Hangman and the Papist" is a very stirring song, with some nice imagery from Cousins. This song has found its way onto a number of Strawbs repackages, and perhaps is a little overrated (for my money the opening two tracks are the highlights of this album). It is still a classic song, however, even though Wakeman's organ playing is a bit over-the-top at times. This song is one of the main reasons a lyric sheet would be helpful. Not enough attention has been paid to The Strawbs lyrics, and this is a shame, as Cousins and Ford have written some very powerful lyrics. It is one aspect of this band that has been ignored by the general public, and critics over time. "Sheep" is another low point on this album. This is the frustrating aspect of this album. Very strong songs followed pretty weak numbers. Very little in this song stands out, and the same can be said for "Canon Dale". Then they bounce back for "The Shepherd's Song", another incredible piece, with a great arrangement, and tightly played by the band. "In Amongst The Roses" is nice, and Tony Hooper's vocals on "I'll Carry On Beside You" are almost heartbreaking. The back-up on this one sounds suspiciously like vintage Bowie, but mixed with that vocal it works. It is a nice way to finish the album. The CD reissue features a bonus cut, "Keep The Devil Outside" which was recorded during the From The Witchwood sessions, but not released until the next year as the B-side of "Benedictus". While it is not outstanding, it is a good song, and it is nice to have it on the collection. Overall a nice package, and a good job of presenting an overlooked, but important release from the early '70's. Given the length of the CD, there is room for other bonus cuts, alternative takes, or unreleased material would have been nice. But instead of focusing on what is not on the album, we can all be thankful it was finally reissued on CD. It has stood the test of time, and holds up remarkably well all these years later. The first Strawbs songs I ever heard were "Part Of The Union", when it was a hit, and later on "Shine On Silver Sun", which was played regularly on Radio 1. A friend had the 7" version of "Lay Down" and I also loved the later Hudson-Ford singles, not realising at the time that they were connected. Soon after this I was up to university and starting my record collection. I had some friends who were into Yes and Rick's solo albums, so when I saw the line-up on Witchwood after browsing the cover at Andy's Records' stall in the market place in Cambridge in 1975 shortly after going up to college, I was basically so intrigued - it had Rick, Hud and Ford all on it - that I bought it entirely on spec even though I'd never heard a note of it. I figured I would probably find something I liked! I was not disappointed! The magical thing was that the band seemed to be singing songs on my own wavelength - I could understand the feelings that came through on them. There's a reflective, angst-ridden wound-licking set of moods that appear again and again throughout the Strawbs' recordings. But of course it starts with "A Glimpse Of Heaven", which along with "Hangman" and, soon after, "Sheep", rapidly became top favourites. Then, "Thirty Days"! Both the comparison with H-F singles, particularly "Burn Baby Burn", and the way its grim determination contrasts with Dave's more reflective philosophy, were immediately apparent. And still the moods sit very happily alongside each other. But the Strawbs' darkness is always shrouded in a deeper love and passion, and this positive side abounds too. "The Shepherd's Song" is a track where love makes a more obvious appearance, and "I'll Carry On Beside You" manifests a defiant determination and commitment. Perhaps a touch serious, but one does have to go for things! 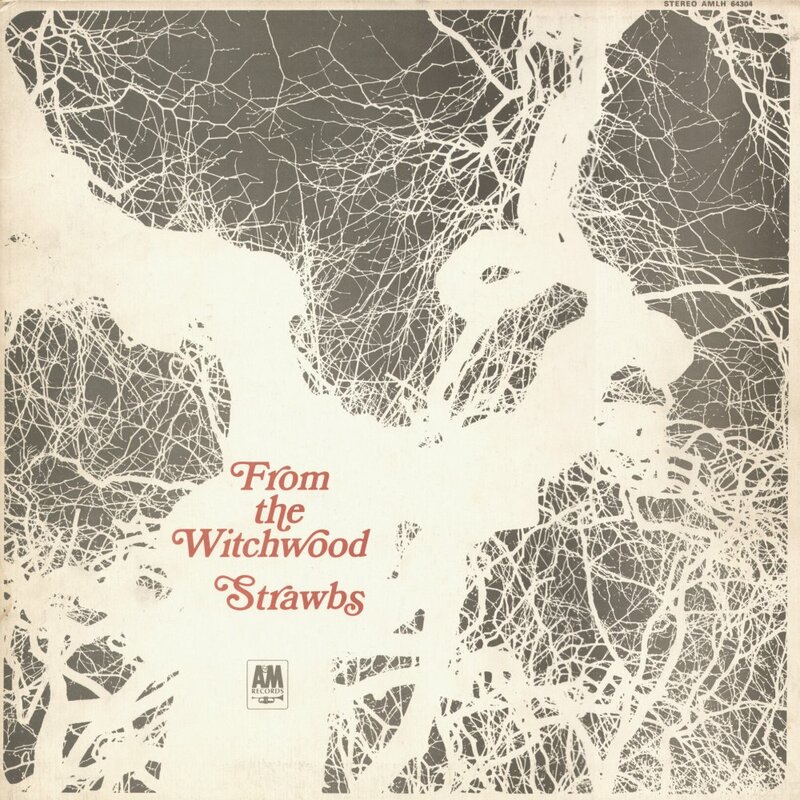 A beautiful album, with a few weaker tracks, but some all-time great Strawbs songs! "Sheep" is also a great track, with its flow from progressive rock to the gentle folk sound in the latter part of the song. The analogy within the concept is excellent as well, making it a classic in my books. The haunting, ghostly "Witchwood" itself is a masterpiece of dark, moody music. I have to be in the mood to hear this one, though. "A Glimpse Of Heaven" is a wonderful song that I can hear any time, any place. The images are very, very strong in this cut, and I can easily envision the land he speaks of in my mind. Incidentally, this song was one of the few Strawbs songs I've ever heard of that was covered by another band. It was done by a Canadian band called Ryan's Fancy, a folk outfit from our east coast. I don't know if others are like me in this, but I've always listened to the two final songs "In Amongst the Roses", and "I'll Carry On Beside You" as if they were one song. Actually, there are quite a few Strawbs (and other bands) that this happens with as well, but I like the way these two mingle in my mind. It finishes the album on a hopeful note. The other tracks are fair to good, but unfortunately they tend to pale in comparison with the other great tracks on the album. A shame, really, but such things happen. I like them, but I don't hear them very often compared to the others. One of the great albums in my collection, because of the classic tracks on it, even if it is a tad uneven in places. The first three released Strawbs albums led me to expect only one thing from their fourth - that it probably would be different from the other three. And indeed it was but this time you could hear the band starting to gel. For one thing every band member's influences were present, in the arrangements and the songwriting. particularly the keyboards were finding their home as an integrated part of the strawbs sound. (As much as I love Rick Wakeman's playing, the keyboard part of the puzzle would finally fall completely into place with Blue Weaver.) All the songs had something to say, "Hangman" and "Sheep" were especially engaging, "Glimpse" and "Carry On"- sheer beauty! But every element came so complete together on Witchwood. Thirty years on this still stands as an absolutely perfect track. It is so textural in its sound, so poetic in its storytelling that the track captures you as surely and insidiously as the witchwood itself. I for one was very impressed. Not attempting to be controversial here, but I feel compelled to remark that I don't share the general enthusiasm for "The Hangman And The Papist". In fact, I rather despise the song. It's over-represented on CD and in performance, at the expense of better, lesser known Strawbs songs. To me the song has a novelty or gimmicky aspect to it (mainly in the lyrics) that does not wear well with repeated listenings, and the delivery of the song is over the top. This is one Strawbs song that I would feel no regret at never hearing again. "Witchwood" and "A Glimpse Of Heaven" are beautiful songs. I don't have my records/CDs with me at the moment, so I can't listen to it to give it the 2001 test, but for me this record has always fallen into the middle tier of Strawbs' lps. It has more great songs than mediocre songs, but it's not a masterpiece. I would always want it in my collection, but I probably wouldn't reach for it too often. I do have the sense that it is one of the darker (is that possible?) Strawbs lps, and that keeps me away from it a bit. Listening to it again, I'm struck by the countless changes of mood - from the upbeat "A Glimpse Of Heaven", through the eerie title track (try listening to that on a surround sound system - John's vocals come from somewhere behind the sofa! ), the Beatles-style "Thirty Days" from John, Hud's mesmeric "Flight" (I love the end bit of guitar before the massed vocals "I rise the early bird at dawn" come in) and the masterful "Hangman" - and that's only the first side! I didn't used to play the second side as much, but it rings the changes too - to be honest "Sheep" wasn't a great favourite at all until they revived it last year, but "Shepherd's Song" was great (lovely Spanish feel at the end) and I'm fond of "In Amongst The Roses" as well. The press at the time felt it was a bit disjointed and didn't allow Cousins the opportunity to shine in his lengthy multi-part epics. In that respect it possibly suffers from band democracy syndrome (like Nomadness a bit) in that Strawbs seems to me to work best when Cousins is more in control of the musical direction rather than sharing the leadership role. NB. I'm told by Tony Hooper that the studio version of "We'll Meet Again Sometime" which crept on (by mistake) to the UK version of Halcyon Days, is from the same sessions as Witchwood - he remembers recording it in Air Studios. Witchwood is a transitional album between the basically folky early albums and the more progressive sounds that followed. As with many such albums, some of the experiments work and others don't. The original vinyl sound quality was to my ears rather muddy and I understand it has been rectified on CD. But for sheer adventurousness this recording is a winner. This is the only album in which Wakeman participates more or less as a band member, whatever his unofficial status might have been. And, as people have hinted in this list, it's the first album where the artistically trumphant counterpoint of Cousins and Hudson/Ford is demonstrated. The strongest moments are surely the first two tunes, both classic Strawbs for their melodies, textures, lyricism, and mood, and appealing to both folk and prog fans. I have been disappointed, albeit to a far lesser degree than Anne Pancella, that these two have been omitted from many a live set in favor of the omnipresent "Hangman". This is especially notable because in the 70s this album didn't get a lot of play in Quebec, its successor being the one that broke the group. But when FM radio did harken back to this prehistoric recording, it was usually to play "A Glimpse Of Heaven" or maybe "Sheep". On the subject of "Hangman", I'm not sure what makes it more gimmicky or novelty than "Beside The Rio Grande". I always felt the two had the same lineage anyway. Now "Sheep" was an exercise in contrasts, the first part being out of step with the album in a most jarring way, but later salvaged by a wonderful Wakeman organ solo and Cousins at his sentimental best in the folky finale. The Shepherd's Song was a most worthy of inclusion on By Choice and also appeared on the Halcyon Days US version. Of note is the similarity between Wakeman's piano touches here and in the verses of the Cat Stevens' hit of the same year "Morning Has Broken". The original finale finds Hooper at his belting best with a country flavor or is it gospel?. We now have evidence that "We'll Meet Again Sometime" from the British Halcyon Days and "Keep The Devil Outside" (which was on that disc), the bonus track on the Witchwood CD, are both from the Witchwood vintage, and it's not hard to see why they were excluded from the original LP, both out of step with where the group was at that time. That being said, "Keep The Devil Outside" is truly a standout, one of my favourite Strawbs tunes. It's the sort of piece for which I admit a weakness - a quiet almost imperceptible start and a rambunctious end, leaving me in awe of how we got stealthily from one to the other, and having to listen over and over to unlock the mystery. Another tune in this vein was "Some Other Time" from the Allan Parsons Project classic 1977 I Robot. "Keep The Devil Outside" would not have fitted in on a Strawbs album until Bursting, by which time its lead singer Tony Hooper was already gone! From The Witchwood is an excellent album that isn't quite up to the greatness of the 4 that followed, but is still one that would appeal to some degree to fans of the group's 60s and early 70s work. Those who only know Strawbs from Deep Cuts on may want to work their way backwards from there to avoid shock. From The Witchwood created some discomfort for me when I first bought it in the mid 70's. This is the first album that I with so many religous (re:Christian) themes. As a Jewish youth I bought only secular albums (that's really all I knew) but here I was taken by suprise. The music won me over quickly however. "Hangman" and "Sheep" were aggressive but I really loved "In Amongst The Roses" and "The Shepherd's Song". What a delicate sound they put forth. Time changes things though. When I listen now I want to hear "I'll Carry On" or "Witchwood" but "Thirty Days" has always bought a laugh with it's juxtaposition of that upbeat Beatlesque melody and arrangement with such somber lyrics.It brings an ironic smile. The bass and drum thump of "Cannondale" is a sound I have found irresistable as well with that close to Gregorian chorus. I put this album together with Grave New World as pastiche of great textures searching for a definitive "Strawbs" sound. This is my favourite Strawbs album (I love most of them and like some of the later ones) if not one of my favourite albums of all time. Generally speaking the thing that makes this album so special for me is the variety of sound textures and instruments. I love 12 strings, harpsichord and dulcimer. And yes the lyrics make the whole thing. Even the artwork is wonderful, the bland outside revealing the wonderful tapestry inside. This was the first Strawbs LP I ever heard, my older brother bought it in 72 when I was just 10 and I had never heard anything like it. At the time my favourites were "A Glimpse Of Heaven", "Witchwood", "Hangman", and "In Amongst The Roses" (a much underrated track that I think is one of the best) and they are still my favourites today, plus "The Shepherd's Song" (hey, all the album is my favourite). I will go against public opinion and say that my least favourite track is "Sheep", just too brash, although I love the ending when it mellows. "Witchwood" is probably my all time favourite but this switches depending on how I feel. Can't say I ever really thought of the album as dark. When I first heard the album my mother had just died and I kept cheerful singing "A Glimpse Of Heaven", I never really forgot that! I'm fortunate enough to live in the area of East Devon which provided Dave with the inspiration for "A Glimpse Of Heaven" and I can never walk through Branscombe or drink at the Masons Arms without that glorious tune running around my head. It must be one of his best achievements. The hillsides are still a patchwork quilt here, whilst the hedgerows have been grubbed up over much of England. "Sheep" has meant rather more to me since I read on the website that it was actually an anti-war song rather than the straightforward pro-vegetarian song which it appears to be; I've always enjoyed the heavier sound of this track, and its gentle, wistful ending. "The Shepherd's Song" has always been a favourite of mine.